Learn how to use HubSpot to excel at SEO, from finding the best long-tail keywords to optimizing each of your website pages. Turn your blog into a traffic and lead-generating machine! Learn how to brainstorm new posts, how to get leads from posts, and more! Learn how to use HubSpot's Content Marketplace to hire writers for your blog, saving you time and money while still generating traffic! Learn how to set up paid search campaigns using Google Adwords, and how to build landing pages in HubSpot for each campaign. Learn how to do a website audit, optimize your website's conversion paths, create a resource center, & measure your site's success! Learn how to create a social media strategy, build a presence on relevant networks, and promote your content to get more traffic. Learn the best practices of creating landing pages using HubSpot, and how to optimize your landing pages to increase conversion rates. You should create content that generates leads, not just traffic. Learn how to create offers prospects will want to download. Learn the best practices of building and optimizing your email and lead nurturing campaigns using HubSpot. Learn how to segment your leads into groups and execute targeted email marketing campaigns using HubSpot. Learn the best practices of building a lead nurturing campaign, and how to plan get your leads all the way through your sales cycle. Learn how to get your sales team involved so they can take advantage of the lead intelligence features that HubSpot offers. Create monthly marketing reports using your data in HubSpot to determine your successes and opportunities for improvement. Learn how to wrap up your year-end campaigns, and create killer marketing campaigns in the new year by listening to your data. 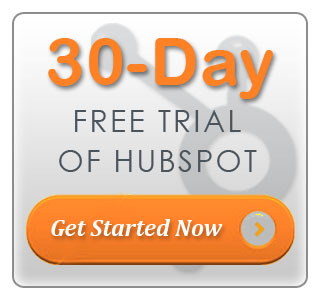 Learn how to use HubSpot's closed loop reporting features to integrate your CRM and convert more leads into customers.